There is only one true human superpower we possess. It’s not the power of flight. It certainly isn’t the power of invincibility — anyone who’s ever failed can tell you that! It’s determination. The ability to press on when you are tempted to quit. That is the one and only superpower you will ever have. And the good news is that it’s free. It’s just not easy. Especially when the world around you doesn’t seem like it wants to accommodate your determination — which, let’s be honest, is most of the time. 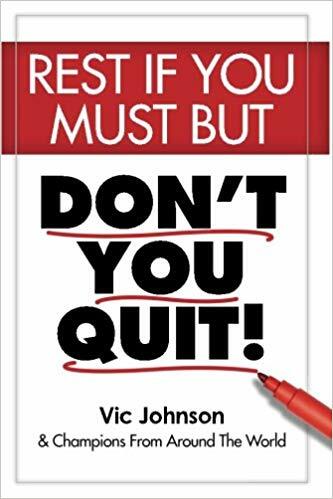 Despite being totally unknown in the personal development industry when he launched his first website in 2001, Vic Johnson has gone on to become an international expert in goal setting and host of the popular TSTN show Goals 2 Go. 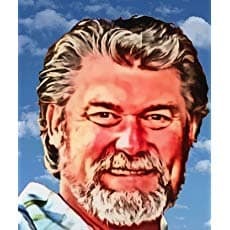 He is also the Founder of TheChampionsClub.org, AsAManThinketh.net, Goals2Go.com, MyDailyInsights.com and a dozen other self-help sites. Evicted from his home in 1996 and his last car lost to repossession a year later, his story has become an oft-quoted source of inspiration to the more than 300,000 subscribers he serves worldwide. He is the author of a number of best selling books, some of which have been translated into Japanese, Russian, Czech, Slovak and Farsi. He has appeared in numerous video programs with Bob Proctor, Jim Rohn, Brian Tracy, Denis Waitley and Mark Victor Hansen, among others.